Introducing the Neuhaus Belgian Chocolate Moments: artisan chocolate bites in elegant packaging. Our premium chocolate bites are a perfect gift idea or delightful self indulgence. Discover the satisfaction of crisp puffed rice beneath the smoothest of Belgian milk chocolate coatings in our new Roses des Sables. 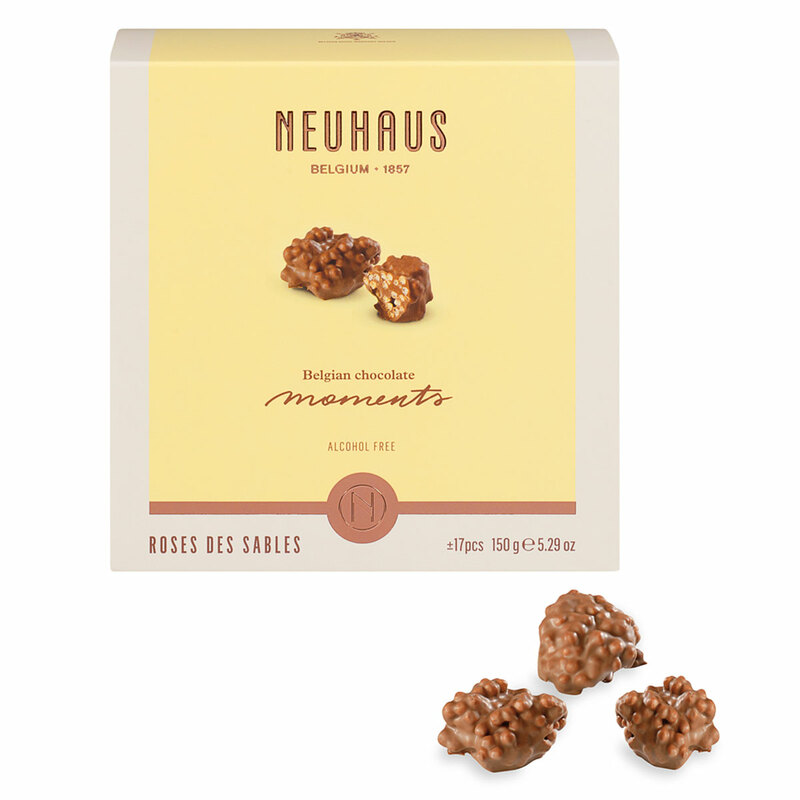 The traditional French confection is elevated to a luxurious pleasure in the hands of the Neuhaus Master Chocolatier. Our Roses des Sables are destined to become an instant favorite. Contains +/-17 Roses des Sables. Alcohol-free.